With Samsung all set to officially announce its 2018 QLED TV lineup later this week, LG Electronics has unveiled its own premium TV lineup for this year, complete with ultra-high resolution and ThinQ AI. It’s important to remember here, however, that while Samsung’s latest television lineup is made up of QLED panels, LG’s new TV sets come with OLED panels. LG also says that the TVs support all major HDR formats, including Dolby Vision, HDR10 and HLG (hybrid log-gamma). The screen sizes of these devices range from 49 inches to 77 inches, and have been priced between US$2,760 and $22,080. LG’s new television lineup comprises of ten new AI-enabled models, including the W8, G8, E8, C8, and B8. The devices come with a number of different features that the company says, offers consumers “the best possible viewing experience”. 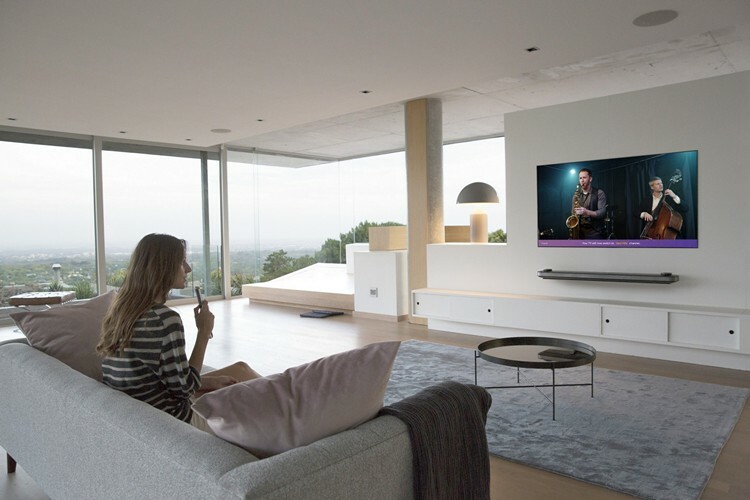 The TVs offer Natural Language Processing (NLP) to deliver “intelligent voice-activated control and connectivity based on LG’s exclusive deep learning platform, Deep ThinQ”. What’s really interesting, however, is that the TVs also function as smart home hubs, allowing users to access other smart products, such as such as robotic vacuum cleaners, air conditioners, air purifiers, smart lights, smart speakers, etc. According to LG, users can hook up their smart home products to these TV sets either through Wi-Fi or Bluetooth. In terms of hardware, the TVs are powered by LG’s ‘α (Alpha) 9 intelligent processor’ that the company claims, “provides true-to-life images with incredibly rich colors, sharpness, and depth for more realism”. The company also says that the processor significantly improves audio and video quality in these TVs by using innovative new techniques. In terms of audio, the chip uses a ‘four-step’ noise-reduction process, which is twice as many steps as conventionalTV processors. As far as video is concerned, “the processor improves color performance with advanced mapping capabilities that bring colors far closer to the original content”. According to LG, “α (Alpha) 9 is designed to support a high frame rate (HFR) for producing smoother and clearer motion images at 120 frames per second”.